We recently launched our e-commerce site in October of 2012. As such, people are still getting familiar with who we are and what we can do. While we know that we can do amazing things (did we mention our production facility is Ferarri Color – an award winning and world famous print shop that’s been around since the 1980’s? ), not too many people except us and previous customers are fully aware of just what we can do. So bear with us today as we take a minute to toot our own horn in order to show you some of the awesome things people are doing with our some of our products – specifically our customized wall decals. Before we show you some examples, a quick note on our wall decals and how they work. Our wall decals can be used on any wall or surface that is painted or textured (they can even work on glass). They can be used in a business (for example, a menu) or a home setting (as you’ll see below), and they can easily be put on your walls and removed on a regular basis. As long as you are ensuring that both your hands and the surface are clean, the adhesive on the back of the decals themselves will last for quite some time. With this in mind, take a look at what some customers are using them for at home. 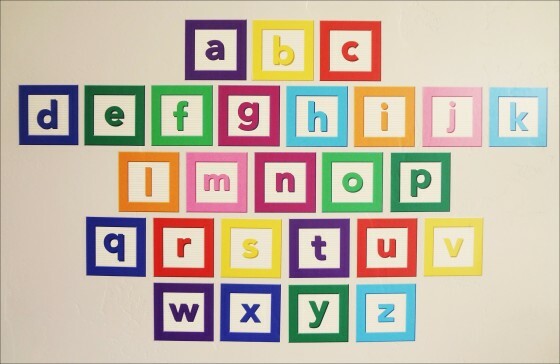 Katie, from Live Craft Eat, used custom decals for creating an alphabet set. Whether they’re used for a child’s name or educational opportunities and games, the possibilities are limitless as she explains here and can be seen below. 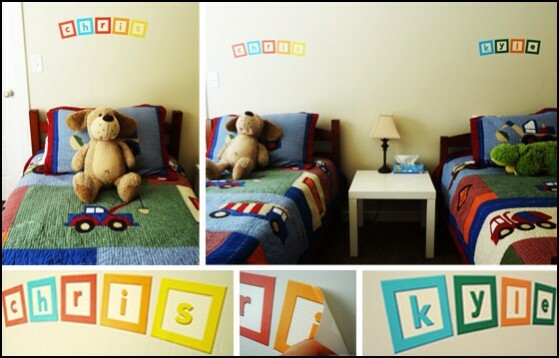 Another great way to use the decals is for room decorations. Jen at Tatertots and Jello recently did a giveaway for us and showcased some of the decals that could be created. Check out some of the examples below. 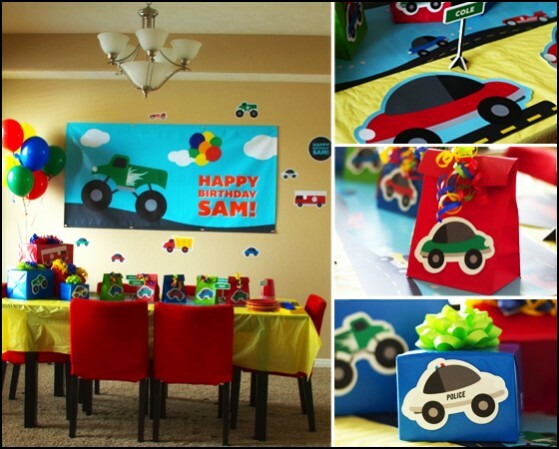 You can also check out more of our wall decals and other products on our Pinterest board. There are a couple of easy ways to create your custom decals as well as other types of signage we offer including vinyl banners, car and window decals and more. If you have some design chops you can create the decals yourself by using our free online design tool. Simply upload your file and edit it as needed or create something from scratch. The tool also lets you select the size and price out how much it is going to cost you. We’ll take care of the rest! The other alternative is to work with our professional designers. It’s free—you simply need to request design services and we’ll get in touch with you to verify exactly what you want. Our designers will custom design your decal or other signage until you approve of it. We then print it and send it to you. Super easy and awesome for your home or business!